SDR technology is probably the biggest thing in ham radio in the years to come, and the direct digital sampling based transcievers can offer a whole new range of posibilities to the avid amateur operators. 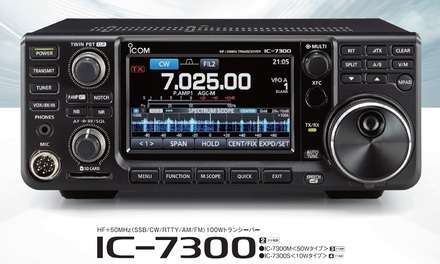 The Flex-6000 series looks to be a great exponent of this technology and probably a key turning point in amateur radio equipment history – for us folks that follow such a thing of course, and recently FlexRadio has released more details about how the new concept will work and how the software needed to operate the new transcievers looks and feels. The software’s name is SmartSDR and it is a completely new concept, not some refresh of PowerSDR like I thought it would be. The interface is very clean and well designed, showing just the important things you need to see and doesn’t fill the screen with unnecessary buttons as long as you can drag or expand. It looks too reciever-oriented though, but I must assume there is some kind of panel that you can reveal in order to properly operate it as a transciever or better yet, an external interface with buttons and knobs such as the Woodboxradio Tmate2. The fact that you can use multiple recievers on the same speakers at the same time *might* be something awesome, the left-right balance allows for good space sound positioning and the human brain can easily isolate the signals of interest. The concept is not new, binaural recievers have been around for some time and even PowerSDR has a binaural output setting; activate it when you have two CW signals in the same passband, just 100Hz or less apart and BAM!, one signal moves to the left and another to the right, they are no more on top of eachother and you can focus on the one you’re interested in. Of course, this only works with stereo speakers, but opens up new ways on how the ham bands can be monitored, with a full surround sound system you could actually listen to even more signals simultaneously. Fun fact, you might want to go back to the video and note the ionosonde signal that passes trough the 14MHz band at 2:23, then trough the 17MHz band at 2:49 and finally trough 21MHz at 3:27. Apparently the Flex-6000 series is almost ready to roll out, as we have a release date (beginning of April) and the final prices have been established: US$4299 for the regular Flex-6500 while the USS Enterprise of the SDR world – the Flex-6700 would burn a US$7499 wide hole in your wallet. The wireless access is nice, and one might also think about installing it remotely in a quiet location with less antenna restrictions, or using it via internet from the office or even when you’re out of town, but i suppose a low latency connection might be needed to get the best of it.